BB Racing capped off a great week on Saturday with three winners over three race days. Pandora Charm was the first to get the ball rolling when she duly won at Caloundra after knocking on the door at her last few starts. Also eye catching that day was the talented but unsound Kaschuba who ran a mighty third in what was his first run for nine weeks after being galloped on at the Gold Coast. The son of Real Saga should pick up a win at short notice for his patient owners who have retained him despite a number of injuries. Earlier that day Pandora Charm's younger half sister Fleur Dorage made her race debut with a fast finishing fourth and the Captain Sonodor filly is sure to develop into a lovely three year old. 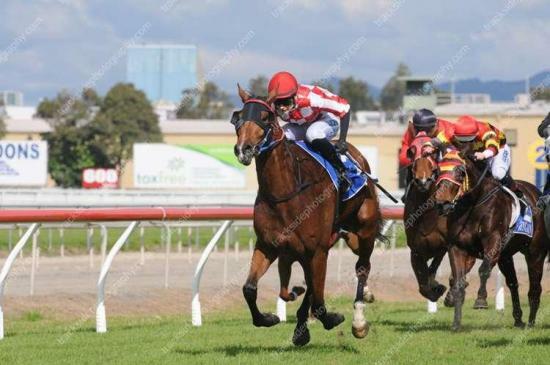 On Friday it was the Kiwi born and bred No Magic Needed's turn to shine when he posted his second career win from a dozen starts. The handsome gelding was given a gem of a ride by Cassie Schmidt and looked like he will be able to go further. At the Gold Coast on Saturday the lightly tried Audree bred by long time stable client David Watkins saluted the judge. She was also ridden by Schmidt and gave a lot of her first time owners a huge thrill. Going close a couple of races later was the first starter Motion Granted who will not be far out of the winners circle for his owners Rum Dum Ltd.